Host4vps.com is another new server provider which has been becoming popular in free hosting industry. It’s has similar methods of operation to freevps.us since they have lots of sponsored servers to offer but the real cool thing is they are the only free vps hosting provider which offer free Windows vps at the moment. Another thing is they do have servers from several countries such as USA, Canada, UK, France, and Germany. So if you are looking for free vps from Europe then there are numbers of options available. All these severs come with a free 1 IPv4 IP address. Couple of packages also offer IPv6 ip addresses too. Apply process is simple. You register in forum and then make 25 good posts which doesn’t look spammy. Give away happens once a month so you have to wait for the next one. Then all you have to do it make the request post with all vps details and your personal details. I wanted a Windows VPS so I make my 25+ posts and applied for 2GB RAM Windows VPS which is provided by CobaltHost. Now I already own another 2GB Windows vps server which I pay $7 per month. So I have to say making 25 posts per month for this one is not a bad deal at all. After all I have to make only around 1 post per month for this. You can make multiple servers within your resource limit. 1 IPV4 address per server you create. I really do like the vmware system where you able to control your resources and make single or multiple servers depending on your need. Specially when you are using Windows servers this comes very handy. They do have their own control panel for this which need bit more features and they are currently working on that. They do have really good paid packages too. Last time I check you can get a 4 core, 4GB RAM and 20GB SSD package for just $10.50 ! Each core cost you only 75 cents and each GB RAM cost you $1.50 so you can set your package as to your need and budget. Each 10GB of SSD space cost you only 75 cent usd. 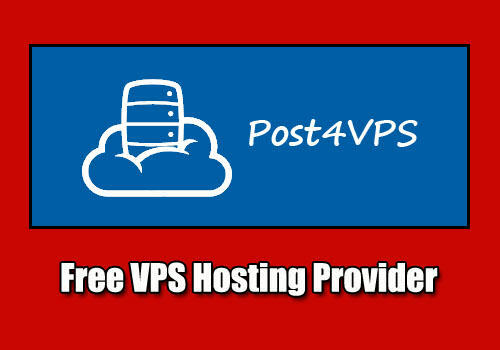 So you can see post4vps.com as afree vps provider and also CobaltHost as vps hosting provider is something worth checking if you are in market for servers. There aren’t many places where you get a free Windows vps server and also there aren’t many reliable hosting providers where they offer this kind of custom resource packages for good prices like this.